No matter who you are or where you live, it’s almost always difficult to buy or sell a home. However, choosing to work with an experienced real estate team can make the process significantly easier and more enjoyable. In today’s post, we’ll explore three of the many reasons why you should choose Team Aro if you’re looking for a luxury home or waterfront property in Gig Harbor. If you’re ready to get started, then visit this page to reach out to us. Otherwise, read on to learn why you should choose to work with Team Aro! While it’s difficult to pin down any one quality you should be looking for in a real estate agent, experience is certainly one of the most important. If you’re like most buyers, then you have a list of boxes a home needs to check before you make an offer. For instance, many of our clients are looking for luxury homes near the water, and we take pride in our intimate knowledge of each and every neighborhood in Gig Harbor. Moreover, we’ve been in the Gig Harbor real estate market for years, which means that we can help you determine what you should and should not pay for a property. On the other hand, we can also help you price your home for a quick and easy sale that benefits both your family and your wallet! As we noted at the outset, there’s nothing convenient about buying or selling a home. 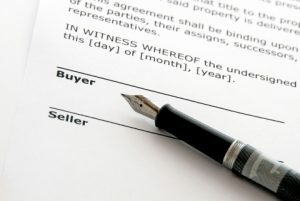 It doesn’t matter if you’re buying a home or listing your property on the market — the paperwork involved in either scenario can easily become overwhelming. You need to make sure that you’ve checked the correct boxes and signed on the right lines in order to avoid delays, setbacks, and even fines from the local area! Our experienced real estate team is here to walk you through the entire process, providing you with the peace of mind you need to focus on packing up or moving in. While some Gig Harbor Realtors® take on as many clients as possible, we take a different approach. We believe that a close relationship with our clients is an invaluable component of our success, and you’ll find that our Gig Harbor Realtors® are always available to answer questions and help you find the perfect property. If you’re selling a home, you can rest assured that we will always answer questions from interested parties and make your home look as appealing as possible. Take a look at all of our recently sold properties to see some of our recent work! We hope that today’s post will inspire you to reach out to our Gig Harbor Realtors® if you’re buying or selling a home in Gig Harbor. Keep an eye on our blog page, as we’ll continue to provide you with information about our real estate team, the Gig Harbor real estate market, and other helpful real estate resources in the coming weeks and month. Reach out to Team Aro today to get started! We look forward to working with you.